Does returning a frog to its owners hand kill it? Thanks for the review WizardOfTheNorthernCoast! Looks good! I got some tips from the discussion on your deckpage. Unexpected Results is definitely on-theme but it could stop the Surge wincon. Seems like you put in more passive draw compared to my ETB/on-cast draw. I guess I could try that for another time. 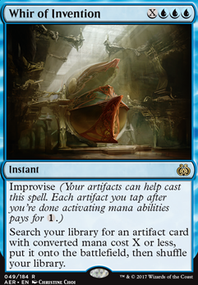 Would you ever get more than 7 cards and have to discard though? I put the Conjurer's Closet and Minion Reflector because I have alot of ETB effects, so these help me to 'recycle' them. I think its fine to cast them on the mainphase or flash them in with Orrery/ Leyline/ Alchemist Refuge. The Reflector requires me to pay each time so i'll be cutting it out. 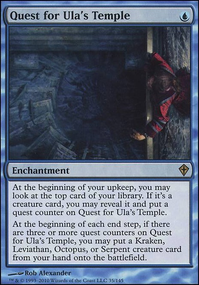 I'll be cutting Beast Whisperer first since GP works with the conjurer's closet. The Whisperer can be copied to give me insane draw though, so I need to test it out. And I almost forgot, the commander herself is a draw engine. 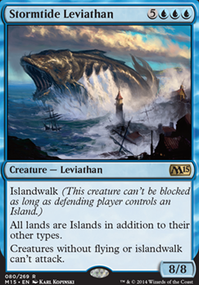 Primal Surge says 'may' so that incident with the Leviathan stopping the wincon wouldnt happen! 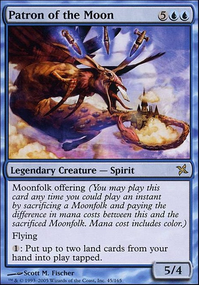 the Murkfiend Liege was meant to be my alternate Seedborn Muse but would only work if I had more manadorks. Having 6 manadorks, probably this isnt a reliable way to get flash mana. Closer to when the Nyx block came out is when me and my fiance first started dating and I taught her how to play Magic. She hard pointed at the card and said "F*** you whale!"... and we have laughed about this ever since. 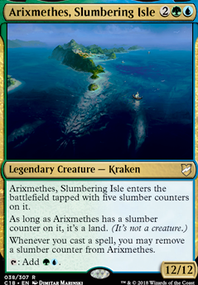 I just got around to ordering this list last week, though I'm still waiting on Alexi, Zephyr Mage, Breaching Leviathan, Dragon Wings, Ensnare, Millikin, Scourge of Fleets and Sky Diamond. Instead, for bodies I've decided to use alot of draw in the form of Arcanis the Omnipotent, Azami, Lady of Scrolls, Kefnet the Mindful and to make up for the major loss in disruption (somewhat) Tidespout Tyrant. 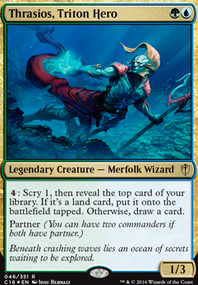 Commander's Sphere is slightly slower but makes a fine rock that comes in untapped and Gridlock and Aqueous Form to keep a consistent Instant and Enchantment count while still getting the job done. After a few test hands it seems to work out, so I'm looking forward to subbing them in when necessary even after i get the correct cards. Sorry for the long comment, as it was mostly for me. 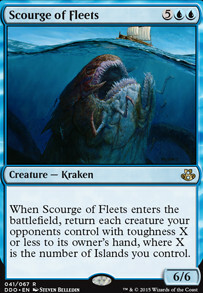 I'm pretty new around here, but I think the draw creatures at least could be useful and potentially make room for other switches.